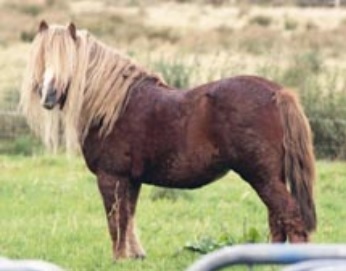 In the late 1980s to early 1990s, an Irishman named John Mulvihill, whom had known of these ponies through the legends and stories from his childhood, purchased a stallion he recognized as a Kerry Bog Pony and bred him to twenty mares in an attempt to create a breeding program for the "Bogs". After careful research and tireless efforts, he brought these special ponies to the attention of the public and intrigued John Flynn of Weatherby's, Ireland's leading DNA laboratory. When Flashy Fox, a maternal grandson of Mulvihill’s first stallion was tested; they discovered that within his genes were unique breed markers, a key to realizing that these ponies were their own special breed! Several other ponies, including Flashy Fox’s sire, Dempsey Bog, were then tested. 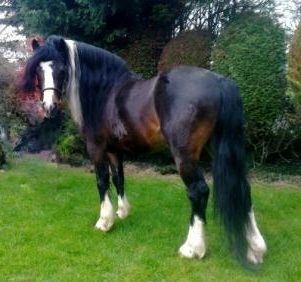 By establishing foundation stock in 1996, the start of the studbook to this rare breed was created. The Spotted Badger in particular displayed what Weatherby's deemed to be the epitomy of ideal Kerry Bog Pony genetics. John Mulvihill proclaimed him to be "the Crown Jewel" of all known Kerry Bogs, not only for his genetics, but also his outstanding conformation and his endearing gentlemanly temperament, that is so uniquely common among this amazing pony breed. 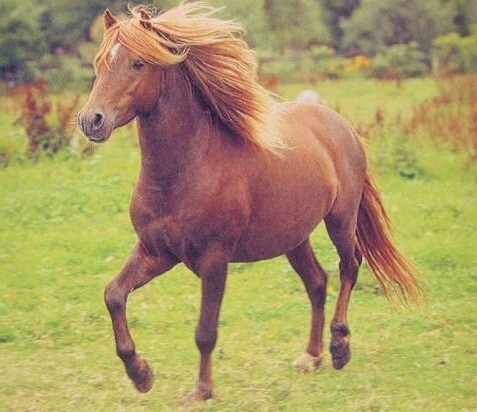 As this breed came into recognition, more of these ponies were discovered. 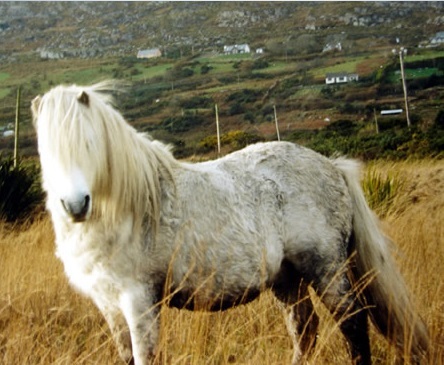 People rounded up wild ponies from the hills of Ireland and others who possessed generations of "Hobby Horses" brought in ponies to be tested and added to the database of DNA verified Kerry Bog Ponies. With the preservation and breeding of these extraordinary ponies, their numbers continue to increase. As of 2015, it is estimated that about 400 of these ponies are known to exist worldwide. In the United States (as of 2018): There are approximately 57 Kerry Bogs, with 35 mares and 17 stallions. In Austria (as of 2018): There are exactly 8 Kerry Bogs, with 6 mares and 1 stallion. In the Netherlands (as of 2016): There are approximately 2 Kerry Bogs, with 1 known mare and 1 known gelding. 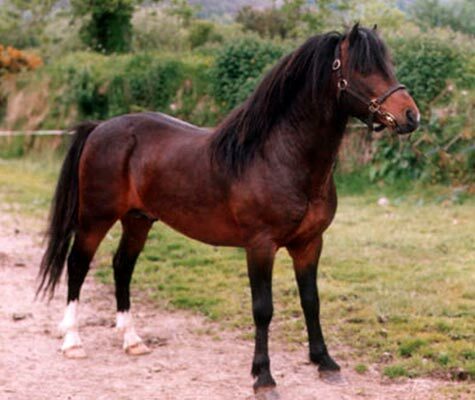 In Spain (as of 2016): There is 1 Kerry Bog gelding. In Finland (as of 2018): There is 1 Kerry Bog mare. 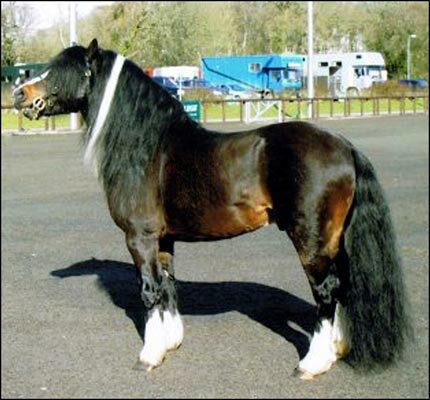 The correct Kerry Bog type and conformation should be considered not only during In-Hand classes, but also in performance classes where rules indicate that type and conformation are to be considered. The standard is also used to evaluate the ideal type of conformation and temperament outside of the show ring. 1. 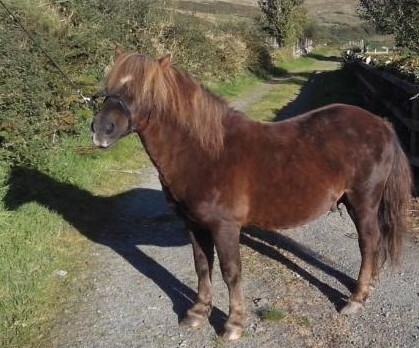 Temperament is the ideal standard for the Kerry Bog Pony! These ponies are kind, composed, loyal, and courageous. They do not possess the unpleasant “pony temperament" most horse enthusiasts have come to expect from the majority of ponies (i.e. aggressively biting and kicking, knocking people down, bucking and rearing, etc.). The Kerry Bog is consistently smart and very eager to please, regardless of the amount of handling they have been given in their lifetime(s). The excellent temperament of the Bogs allow them to be easily trained to harness or saddle and can be easily used as a trusted children's riding pony. 2. Action The Kerry Bog breed possesses a sturdy bone structure and great strength relative to its weight. This, together with its excellent conformation, gives the pony a lovely well balanced action while displaying a pinch of pizazz. This intelligent pony is very sure-footed and can even outrun horses that are twice its size. 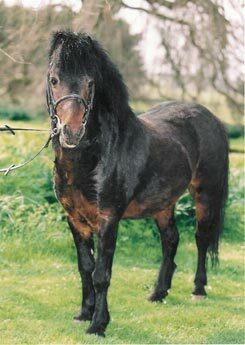 An ideal pony is well capable of thinking for itself, as it was needed in the soft underfoot conditions of the bogs. Size The Kerry Bogs evolved into a small draft pony over the centuries of work in the bogs, averaging from 10.2 to 12.1 hands, with some being taller but still maintaining the other breed characteristics. Body The body is strong and compact and the chest is deep with well-sprung ribs and good girth. The throatlatch is thick and should curve out as it reaches the chest. The neck should come out on top of a well angulated shoulder with depth from top of withers to point of shoulder. The shoulders are rounded and muscular. The top line represents a gentle curve from the poll to the back, giving the impression of the neck sitting on top of the withers rather than in front of them, continuing to a short, straight back and a relatively level croup rounding into a well muscled rump and thigh. Loins are hefty and hindquarters are strong and well formed. Tails are full, abundant, well set and carried. They also have large hearts and lungs to contribute to their incredible stamina. Coat Their coats are long and dense, which was needed to withstand the cruel climates of Ireland. They are easily capable of enduring harsh winters and other inclement weather without shelter. Color They are usually of solid color, often with white markings; typical colors are bay, black, and chestnut, but plenty also possess roan, gray, palomino/cremello, and dun are known to occur. White markings consist of tobiano, sabino, and leopard (a.k.a. appaloosa and varnish roan). Most of the ponies in the breed that possess the tobiano gene trace back to Foundation stallion The Spotted Badger. The leopard pattern is thought to trace back to Foundation mare Bog Grouse, through her most prolific daughter Bog Path. Head Pleasant, charming and sometimes dish-faced with small, pointed ears. Nostrils allow large intakes of air relative to body size. The cheekbones are usually pronounced and the jaw is strong and well formed with excellent dentition to smooth the progress of grazing on tough herbs like heath, gorse, and heather. Legs Straight and sound with short cannons, thick bone, and an appearance of density. The cannon bone is short with a good-sized, hard bone. Pasterns are also short.